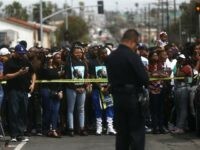 After a video emerged of a Broward County, Florida, police officer slamming a black teenager’s head into the ground, and then punching him. 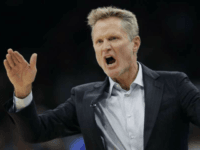 Golden State Warriors Steve Kerr seemed to blame the entire country for the incident. 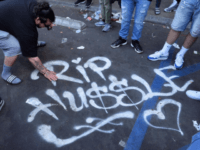 The murder of rapper Nipsey Hussle sparked a renewed interest in peace between some of L.A.’s gangs last Friday. 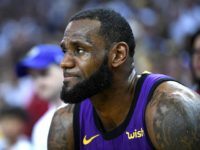 Sunday’s game saw L.A. Lakers star LeBron James play the worst quarter in his 16-year career. 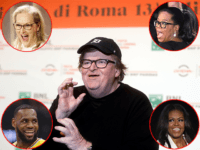 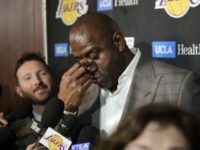 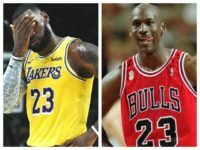 March 7 (UPI) — Los Angeles Lakers star LeBron Jamespassed idol Michael Jordan for No. 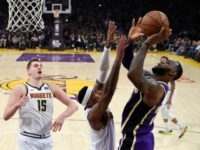 4 on the NBA’s all-time scoring list with an And-1 during a loss to the Denver Nuggets. 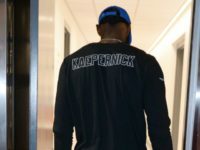 Colin Kaepernick’s #7 Jersey may not be seen on the field during the Super Bowl this weekend, but a pair of NBA stars made sure the former anthem protester’s number got some love nonetheless. 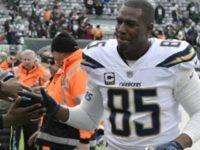 Los Angeles Chargers tight end Antonio Gates returned fire at NBA star LeBron James for saying pro football players are treated like “slaves.” Gates countered saying that NFL players know what they are signing up for and make a fine living doing it. 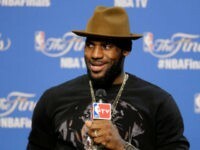 LeBron James was awarded the Associated Press athlete of the year award for the third year in a row. 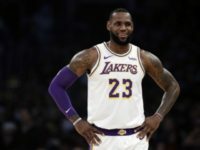 However, the Lakers star insisted that the children at his “I Promise” school in Ohio are the ones who deserve the credit. 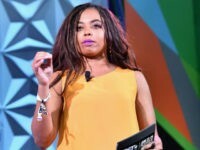 Controversial social justice warrior and former ESPN host Jemele Hill, is set to come back to TV by narrating Showtime’s Shut Up & Dribble. 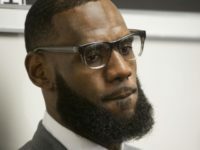 A three-episode documentary produced by LeBron James, which delves into athlete activism and the changing role of NBA players. 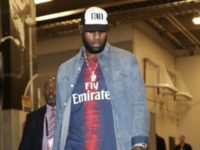 Newly minted Lakers player LeBron James, was seen at Thursday’s preseason game wearing a Colin Kaepernick’s branded shirt, according to reports. 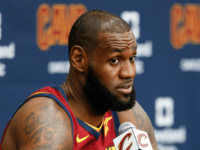 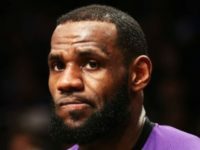 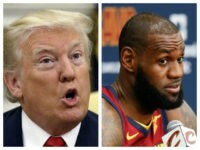 NBA star and gun control proponent LeBron James is critical of private citizens carrying guns for self-defense, but employs “at least 10 armed security personnel” at his home for defense of himself and his family. 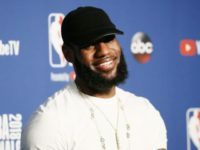 Closing out September, the Kevin Hart comedy Night School went to the head of the class for this weekend’s box office earnings, leaving the Channing Tatum and LeBron James-voiced cartoon Smallfoot in the dust — but still at number two. 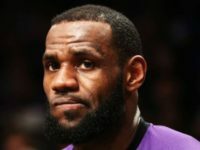 Former ESPN reporter Jemele Hill wasn’t unemployed long. 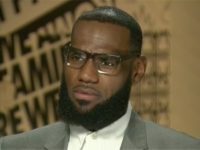 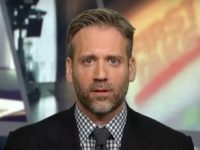 According to the Hollywood Reporter, Hill, who recently left ESPN after 12 years, will narrate LeBron James’ upcoming Showtime series, “Shut up and Dribble,” which debuts in November. 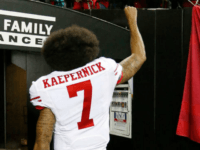 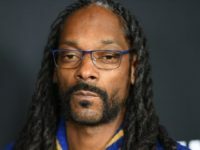 Nike’s decision to make Colin Kaepernick the face of their ad campaign, was one of the most controversial decisions in the history of advertising.